It is not misleading to say, as some do, that philosophy explains us how certain tautologies are actually meaningful. Philosophy does value the experience, though not their imperatives as the backbone to empiricism. And no other times in history have more to offer the empiricism in perspective than it is now and it is in marxist terms—on the concept of ‘social class’ and the ‘oppressed’ in terms of who would likely not own any meaningful means of production and that would likely rebel against those consensuses--a theory that never has been understood accurately in the philosophical world until now. For some times in the past I had met many linguists and philosophers around the world time and time again when by the way of like them being with or without being known of themselves of those folks who look at their scholarly works. Myself yet as a hobbyist in this, sometimes I had still had to send some quick notes to some via emails or posts etc for comments whenever there had been added curiosities shown for answers. Nowadays I don’t do this, at least to such an extent as I had been two years ago and back, other than writing a monthly post to LangLing. So this time it is ‘case assignment in fused relatives’, as I stated in my previous post which i already put it in Blogger on Oct 27 and corrected today, and some comments on the questions selected from unanswered or answered-irrelevant sources with the issue of ‘increasing number of PhDs around the world and their likeness to be called themselves as philosophers’. Personally, that sounds rather only just a bit strange with the assumption 'vast majority of youngsters these days obtaining doctorate in philosophy are likely to have difficulties in reading and writing philosophy and yet their being still accustomed to and attached with it'. However, this assumption proves to be irrelevant as the empirical evidences do not support the assumption that they can’t; in fact, they do, at least a bit. Certainly a question like ‘Are you a philosopher?’ may be agitating to a young grad. A young girl perhaps would likely put her hand on mouth and say ‘no’ before putting her hand down back for saying ‘yes I am from this ... year' and so on etc just whereas a boy would in his body language by taking a deep breath for a serious appearance in reply, since both PhD candidates and recipients nowadays see themselves for having such an energy for an academic marathon is only for having the job motive and nothing else nor even for such a thing as it once ought to have been so a bit fight for social prestige and respect in the philosophical world. Why do universities ask public to call their postgrads ‘philosophers’? Perhaps something like doctor in math, doctor in medicine, doctor in geography or etc for its subject specialty would make more common sense, but as for historical route in which the custom was built or continually to be accustomed with, particularly on the epistemological inquires in which each subject to be mastered, this phenomenon as it is now seems to be also having the reasonable form and meaning closeness. And needless to say that not everyone is able to disciple and succeed in those minimum years in this is another good point what we may deduce as that philosophy. Do PhDs have yet anything else to do with this? Well, we are all philosophers. Without philosophy, we cannot plan our day for tomorrow, or even for today. Philosophy begins with such a minimum comprehension level in metaphysical realm of individual intuition to solve such a little puzzle and extends to mature with the higher form of individual capacity for persuading from small group of individuals to large number of population with the belief that one has with his or her fellows. So just having the ‘wisdom of knowledge for being yourself’ is alone philosophy in a narrow sense; and the ‘wisdom of knowledge having the capacity of persuading one’s belief with others’ is that philosophizing. And you may translate it as 'academically'. Are PhDs actually then phenomenalists (doctor in phenomenalism rather than in philosophy)? This is one of the questions which is being in disputes for some times. I have no doubt with the take that youngsters graduating with doctorate in philosophy don’t see themselves as philosophers either other than those with subject major is philosophy. And I have only a very little doubt as to if anyone would worry about the terminological disputes of the past at all, as the graduates are for jobs and universities are for facilitating that mandate although there exists some interests as to 'why it is so given to us for which we have nothing to do'. I have BA in maths, MA in maths, and then doctorate in philosophy. It seems history owes much to maths and physics tradition. Is it why? The history of academic philosophy is still much bias certainly for metaphysics. 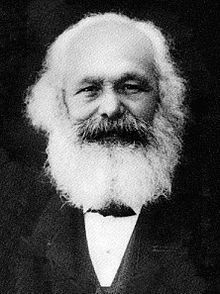 However even most known philosophers were themselves phenomenalists in modern day definition, including Karl Marx, although their affections for metaphysics and materialism to be empirically relevant appears to be not well understood or acknowledged by many modern day philosophers. The tradition of school of phenomenalism in philosophy doesn’t make much sense in this. Bestowing doctorate upon someone is said to be defined as someone within the metaphysical tradition of the schools of either phenomenalism or epistemology. How could this be simply explained? I do not see any of these as meaningful in this. If it is so, this should be rather other way around, namely, defining such a way in that epistemological tradition to provide metaphysicist and phenomenalist schools. Since metaphysics is no longer in the family of philosophy or even with the language in first language, what counts here is the innate faculty of phenomenalism in philosophy for everyone by the number of years in which the successful accomplishment entered into concession, including in natural sciences, physical sciences, social sciences, and language and philosophy. Their formal and organizational imagination is thus translucent epistemological treaties by means which the objects of experiences become philosophical or phenomenical. Why is it said to be that advance texts in academia are read and written in philosophy? Perhaps. Personally I do not think such a statement is correct, though I do not question such a belief. Most philosophers seem to have already walked away from this. For many philosophers, it is too early to start and too late to finish. And natural sciences and physical sciences always have the word-to-word tradition just as ‘what you see is what you get’. Thus, those who still practice philosophy are those social scientists from the old school of metaphysics. There are two good reasons for this. First is that avoiding conflict with public in persuading a thesis deems necessary for many social scientists since public in general consist with the universal norms and characters and that convincing them with a new mandate takes time and time with full of issues in order to change their predisposed normative believes. The second reason is that philosophy has been, and to some extent it is even now, still the lingua franca for faculties of social sciences, languages, and philosophy even though global empiricism, vested primarily on the principles of recognizing, recollecting, associating, and apprehending worldly consciousnesses, yet demand for phenomenalsim. Language is a tool of communication, but only with interactions as to what extent it is applicable. Some of us possess it to a large extent while others have very little. When I was in school, I was asked to identify tautological constructions from proverbial. The trick I was given by the analogy was to remember ‘Boys will be boys’ or ‘p=p’. This is of course true if you believe or not. After many years of teaching now using text books as our guides, it is how to apply tautology for marking students. I find students don’t usually make mistake in identifying a statement like ‘War is war’ as a tautology, since it is simple and strait like ‘p=p’. But you take on ‘experience that provides results’ as a tautology doesn’t prove any reasonable tautological constructions principles in which it is said to be so. From many respectable authors about language, pragmatics, and philosophy, I have also come to believe that it is a ‘proverbial’ construction, apparently English specific. I noticed your saying somewhere that you are not very much into pragmatics, so I just want to say it is irrelevant to a English tautology. Unless you can provide good reasons as to why it isn’t proverb but tautology? In philosophy, only the feminist empiricism is in the view that experience provides ‘result’. Empiricism in general is however in the view that experience provides the ‘sole’-- at least the primary--justification for all knowledge regarded ultimately at most within philosophical inquiries as such the discipline could provide a transcendent or external justification for empirical or scientific methods. Quine revolutionized empiricism by rejecting both of these ideas. For Quine, observation is thoroughly theory-laden. It is cast in terms of complex concepts that cannot be immediately given in experience, i.e., all of which are potentially subject to revision in light of further experience (Qunie 1963). And epistemology, far from providing an extra scientific vindication of natural science, is simply another project within which we empirically investigate our own practices (Qunie 19690). The version of naturalized epistemology therefore, for Quine, is mere a normative psychological investigation (Nelson 1990). For the exact version on this above: ‘Feminist epistemology and philosophy of science’. Yet there is pro and contra in philosophy, as to if experience provides ‘sole’ or ‘result’ in empiricism. Since experience must undergo among argument and valent reductions for an empirical observation, I would argue that experience alone can easily be misled for an erroneous result for having to end the business of feeding the needed, or philosophizing, by an irrelevant conclusion made. Such a result would then, if happened, only prove to be of having personalized something which was irrelevant to empiricism but to the outer map on the neighbour periphery for much needed action—‘relevant’ but only there. However, ‘experience that provides results’ is, I like to argue, not a proposition nor a verifiable premise from empiricism as you stated, though well understood widely. And if this is the reason why you have taken this as a tautology, I am still not very happy with the take. I would rather call it as a proverb.